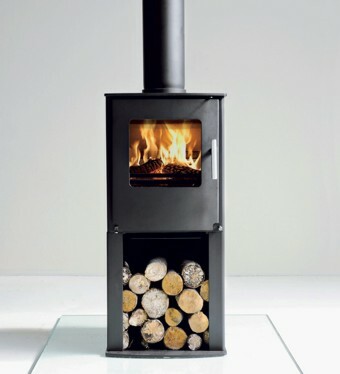 Pedestal has a raised fire chamber and incorporates state-of-the art clean combustion system, that gives optimum stove heating performance for a compact stove. The Series ONE is available in two styles, either as a traditional stove or as more contemporary slim pedestal model. Both models are designed for functionality and usability. Series ONE has a sophisticated closed combustion air system, allowing the stove to operate in air tight houses as its combustion air is supplied directly from outside. Disclaimer - The information contained in this website is for general information purposes only. The information is provided by Windsor & Eton Stoves Limited and while we endeavour to keep the information up to date and correct, we make no representations or warranties of any kind, express or implied, about the completeness, accuracy, reliability, suitability or availability with respect to the website or the information, products, services, or related graphics contained on the website for any purpose. Any reliance you place on such information is therefore strictly at your own risk. In no event will we be liable for any loss or damage including without limitation, indirect or consequential loss or damage, or any loss or damage whatsoever arising from loss of data or profits arising out of, or in connection with, the use of this website. Through this website you are able to link to other websites which are not under the control of Windsor & Eton Stoves Limited. We have no control over the nature, content and availability of those sites. The inclusion of any links does not necessarily imply a recommendation or endorse the views expressed within them. Every effort is made to keep the website up and running smoothly. However, Windsor & Eton Stoves Limited takes no responsibility for, and will not be liable for, the website being temporarily unavailable due to technical issues beyond our control. Copyright - This website and its content is copyright of Windsor & Eton Stoves Limited - © Windsor & Eton Stoves Limited 2012. All rights reserved.Any redistribution or reproduction of part or all of the contents in any form is prohibited other than the following: You may print or download to a local hard disk extracts for your personal and non-commercial use only. You may copy the content to individual third parties for their personal use, but only if you acknowledge the website as the source of the material. You may not, except with our express written permission, distribute or commercially exploit the content. Nor may you transmit it or store it in any other website or other form of electronic retrieval system.